According to a fable in the Purans, the Gods and the Demons churned the oceans to get the elixir which would make them all immortal. However, the first thing that came up from the ocean was halahal, a poison which would have destroyed everything. Not knowing what to do with this poison, the Gods requested Lord Shiva to drink this, as only He was capable. Lord Shiva in his Mrityunjaya form agreed, and while drinking this poison kept it in his throat forever. It is thus that He came to be known as Neelkantha Mahadeva. In today”s day and age it may not be possible to get a learned pundit who will do the puja, havan and jaap of Mahamrityunjaya. 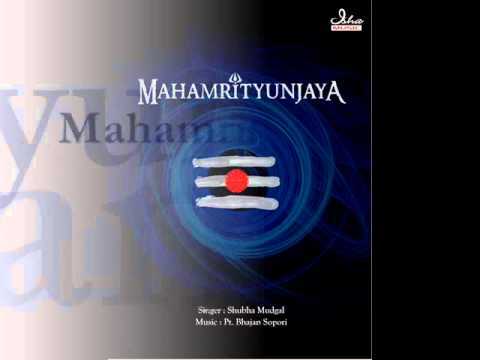 With this in mind, Isha Music”s Mahamrityunjaya album has been designed like a puja. The album starts with the mangalacharan, followed by the invocation of the Lord Mahamrityunjaya. Next is a hymn in His praise followed by the chanting of the Mahamrityunjaya mantra 108 times. This mantra, when chanted or heard with faith and dedication has the power to rid man of all his past sins. Thus we can rid ourselves of problems such as disease, misery, lack of progeny and ill-fortune. Even untimely death can be overcome by the chanting of this mantra. The album ends with a prayer of forgiveness and finally an aarti extolling the virtues of Lord Mahamrityunjaya.